Heroes Force 9 League Soldier Figurine | Multicolour | Amazing detailing and expressions give a realistic look to the figurines. 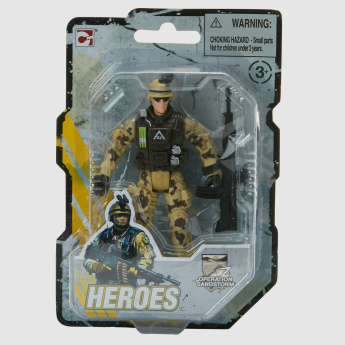 If your young boy is an avid collector of different kinds of figurines, this heroes soldier figurine will indeed make for a great gift for him. Designed with amazing detailing and expressions to make it look realistic, this figurine will help encourage role play and imagination in your child. Feature 1 : Amazing detailing and expressions give a realistic look to the figurines.